Hayden Christensen, is a Canadian born producer and actor, who rose to international fame due to his portrayal of Anakin Skywalker in the Prequel Trilogy of the Star Wars series of movies. He has received numerous awards, as well as critical reception, for the said role. He also recently started venturing into the realms of working as a producer. Being the third out of four siblings, Hayden was born to Alie Nelson and David Christensen in Vancouver, British Columbia. He has an older brother named Tove, an older sister named Hejsa and a younger sister by the name of Kaylen. He was raised in Thornhill, Ontario and attended a multitude of schools such as Baythorn Public School, E.J. Sand Public School, and Unionville High School in Unionville, Ontario, Canada. He also attended the Arts York program for drama at Unionville High School as well as the Actors Studio in New York. 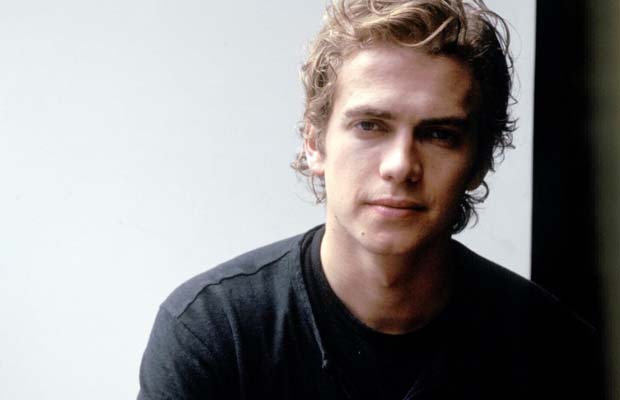 Hayden Christensen started his acting career at the age of 12, when he appeared in supporting roles on television series such as Family Passions, Harrison Bergeron, In The Mouth Of Madness, Goosebumps, Forever Knight, Are You Afraid Of The Dark, The Virgin Suicides and Higher Ground. The last show garnered him widespread praise and recognition for his acting skills. He continued with the show Life as a House (2001), which saw him attain even greater success and recognition, culminating in him receiving the Breakthrough Performance of the Year award by the National Board of Review. In 2002, he starred in This Is Youth, alongside Jake Gyllenhaal and Anna Paquin in Shattered Glass in 2003. He also made his Broadway debut in 2005. However, Hayden’s most well known role came from his casting as the young Anakin Skywalker in the Prequel Trilogy of the Star Wars series of movies, from 2002 to 2005. He was selected by George Lucas to play the iconic character after reviewing a total of 1500 applicants. However, reception from critics towards Hayden’s portrayal and acting was very mixed, with Hayden being nominated for the Golden Raspberry Award for Worst Supporting Actor in both of the films. Nevertheless, the movies propelled Hayden into the mainstream and made him into a popular international star. He followed this by appearing in movies like Awake (2007), Factory Girl (2006), Jumper (2008), New York, I Love You (2008), Virgin Territory (2007), Vanishing on 7th Street (2010), Takers (2010) and Quantum Quest: A Cassini Space Odyssey (2010). He is the co-founder of Glacier Films, with his brother Tove. The company firmly aims to produce various micro-budget films with focus on the quality of storytelling and acting rather than more flamboyant elements. Hayden is currently starring on the first project from the company, American heist, opposite to Jordana Brewster and Adrien Brody. Hayden Christensen has been dating fellow actor Rachel Bilson since 2007. Despite breaking up in 2010, the couple quickly reconciled and in 2014, had a young daughter together. He is also a diehard Toronto Maple Leafs fan. Apart from acting, Hayden has also done modeling work for high profile companies like Louis Vuitton. He was also made the face for a new line of fragrances launched by Lacoste, named Lacoste Challenge. He currently resides at a farm near Uxbridge, Ontario that he bought back in 2007.